Initially, Holy Cross did not accept Alfred because of his poor health. He had been baptized right after birth because they had been afraid that he might not live more than a few days, and he was sickly all his life. Alfred, however, was not discouraged, with the assistance of the Archbishop of Montreal, received entrance into the Holy Cross Novitiate on December 27, 1870. Upon entering the Novitiate, Alfred took the name Andr�, which was the name of his childhood pastor. Given his frail health and lack of a formal education, Brother Andr� was assigned as doorkeeper of Notre Dame College in Montreal. He continued this assignment as a professed brother. Among his many duties, he greeted visitors and tended to their needs. Many people began to experience physical healings after praying with Brother Andr�, and his reputation as a healer began to spread. So many people flocked to see him that the Congregation allowed him to see sick people at a trolley station across the street. Through it all, Brother Andr� remained humble, often seeming confused that people would lavish such praise on him. He knew that the real source of these miraculous cures was St. Joseph�s intercession. His desire to increase devotion to St. Joseph inspired him to found a shrine to his favorite saint across the street from Notre Dame College. He saved the money he earned from giving haircuts at five cents apiece, eventually earning the $200 he needed to construct a simple structure. This shrine opened on October 19, 1904, and in 1909, Brother Andr� was released from his duties as doorkeeper and assigned full-time as the caretaker of the Oratory of St. Joseph. The Oratory attracted large numbers of pilgrims, and plans were made to construct a large basilica. Brother Andr�s full-time ministry for the rest of his life was to receive the long lines of sick visitors who flocked to the Oratory to see him. He became known as the �Miracle Man of Montreal,� and thousands of miraculous healings were attributed to his intercession over the following decades. Brother Andr� died on January 6, 1937 at the age of 91. During the week that his body lay in state outside of St. Joseph�s Oratory, an estimated one million people braved the bitter Montreal winter to pay their respects. The basilica was eventually completed and remains a major pilgrimage site, attracting over two million visitors a year. The side chapels are filled with the crutches of people healed through St. Andr�s prayers. On October 17, 2010, St. Andr� Bessette became first saint of the Congregation of Holy Cross when he was canonized by Pope Benedict XVI. On this day, the Church recognized that God chose a very simple man for a remarkable life of service to the Church. 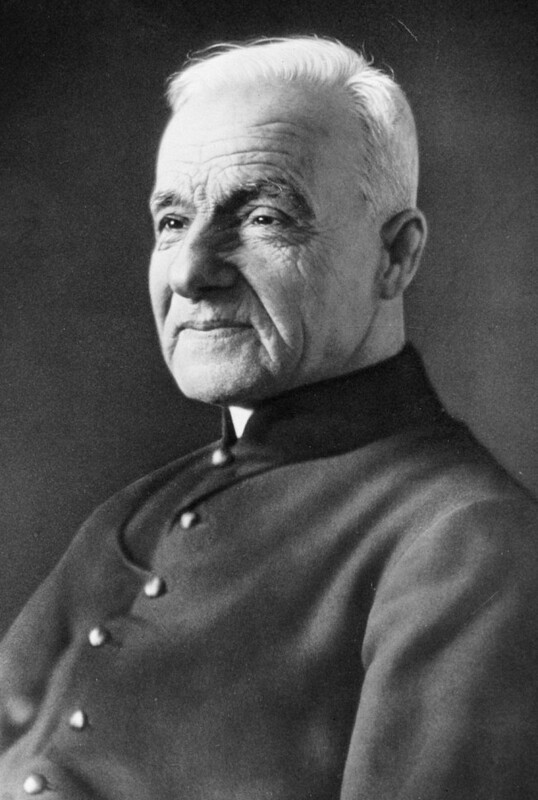 He had previously been beatified by Blessed John Paul II on May 23, 1982.